Every country has comic books of a variety of types and of course Italy is no exception. 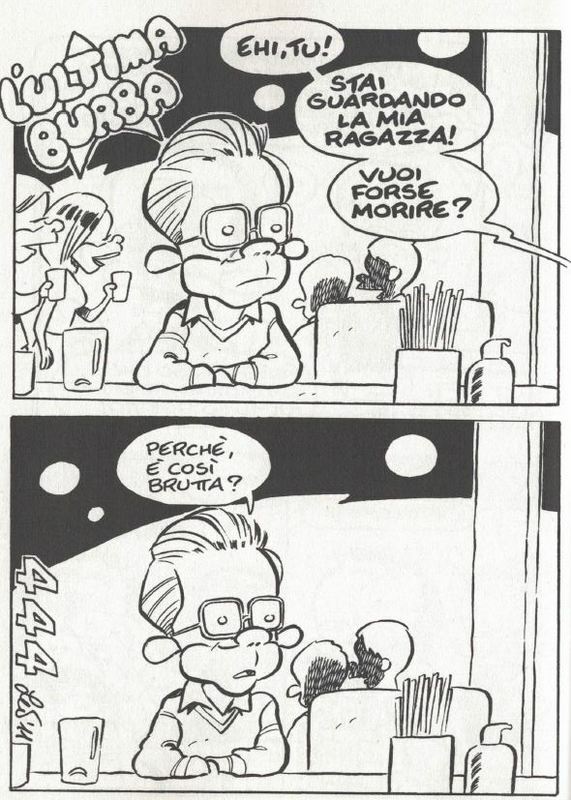 In addition to those that originate from other countries (Calvin and Hobbes, Andy Capp are good examples) they have some that are particular to Italy. Before I ever went to Italy, I had Skype conversations with my friend Massimiliano who lives in Torino (Turin). We exchanged some things through the mail. 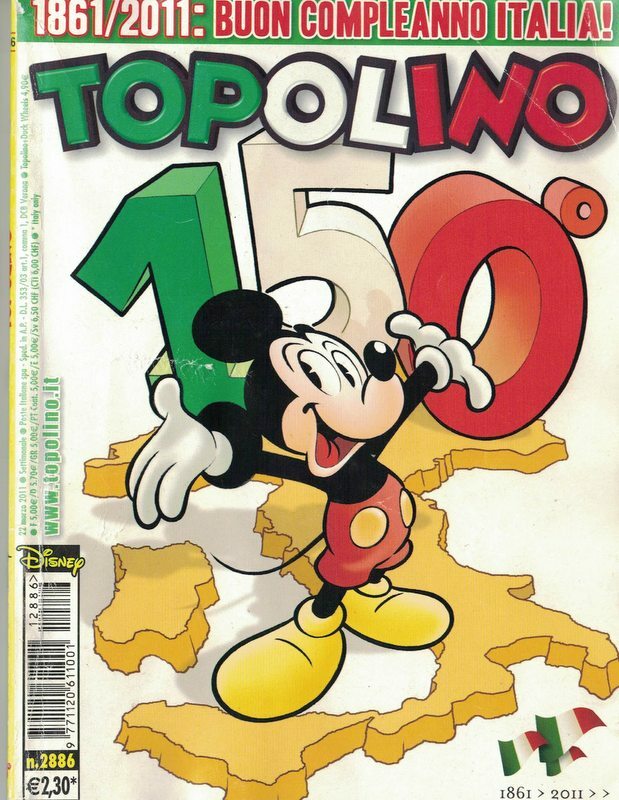 He sent me a couple of comic books (among other things) so I found out the names for Mickey Mouse (Topolino) and Donald Duck (Paperino) and introduced me to Dylan Dog. 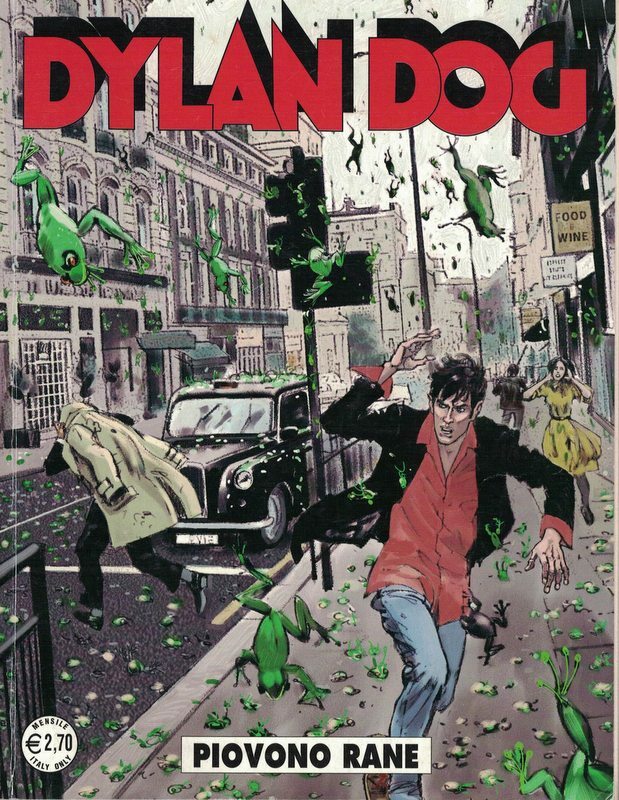 Dylan Dog is an investigator of weird phenomena who lives in London. How this relates to Italy is a mystery but it is very popular in Italy. The comic originated in 1986 and at flea markets they sell back issues along with those of Tex (another out of country experience – Arizona) that debuted in 1948 (!). 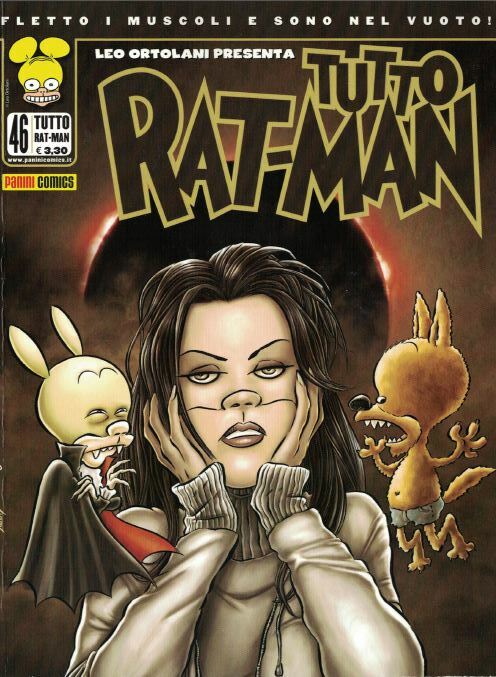 But my favorite is Ratman. It’s a little hard to describe. 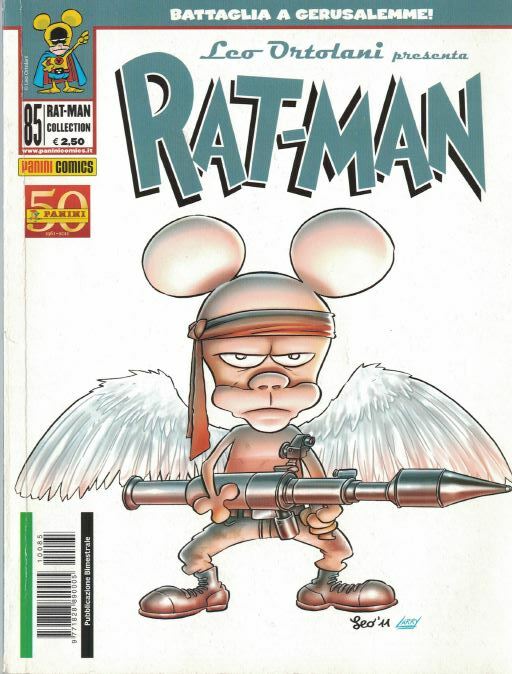 I suppose that you could say Ratman is a VERY flawed and sometimes goofy superhero (well, maybe mini-hero). Very irreverent with little gags thrown in every few frames. I found that when asking for the latest edition at an edicola (newstand) I need to roll the “R” or they don’t understand what I’m saying. Another little life language lesson in Italy. The dialog in the frame above: There were a lot of us enrolling, hoping one day to be published. The above is just a two frame gag – a series of very short ones get thrown in from time to time. OK, let’s face it sometimes the humor is a little, er, adolescent but I guess I still have a streak of that in me. This entry was posted on Sunday, August 30th, 2015 at 12:43 pm	and is filed under Culture, Language. You can follow any responses to this entry through the RSS 2.0 feed. You can leave a response, or trackback from your own site. Sorry for the very late response. 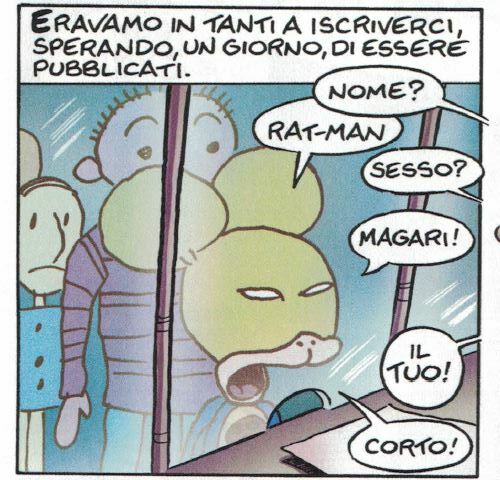 I’m glad that you like that crazy Ratman. We should get together sometime and I’ll show you some of the issues that I have.